The Griffin Amplifi = great sound for pennies. 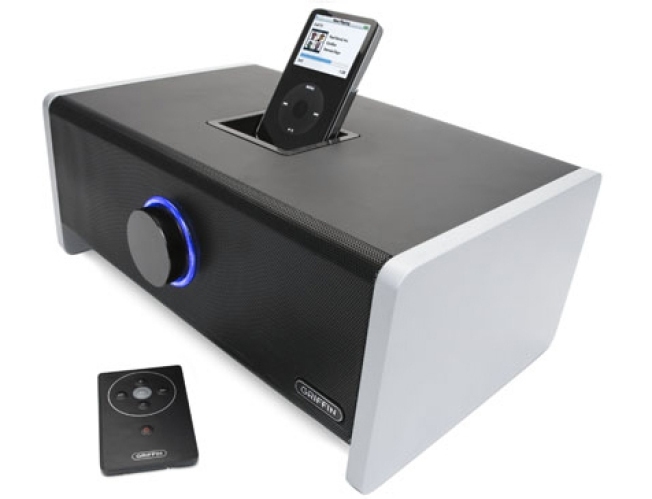 Why you need it: Because it delivers excellent sound at a fifth of the price of a Bose SoundDock. Perfect for those allergic to feature creep (push the knob to turn it on, turn it to adjust the volume). The sleek Amplifi has garnered rave reviews from gearheads netwide, from Gizmodo (who tipped us off to the deal) to CrunchGear to CNET. How much: It usually retails for up to $150, but this deal brings it down to $49 -- shipping included.